For the past seven days, Aksel has witness the destruction of the world and pulled it back from oblivion. But she cannot stop what is coming. She has seen it before on countless worlds. With a cheerful university student and a fatalistic mother-to-be as her companions, Aksel counts the days until her celestial enemy overcomes her will and leaves the Earth in ruins. A work of romance and tragedy, K.J. Russell's three-chapter novella illuminates parts of the human heart we would rather pretend do not exist. "Absolute Tenacity, held my interest and attention to become my all-time, best non-stop read. His scenes filled my mind with images and colors I’ve not experienced in print since Al Feldstein’s graphic artwork in Tales from the Crypt." "A shattering view of the potential of love and hate, of fear and joy, and of every emotion betwixt and between not only to drive actions but to fuel them, in this tale of an epic family battle across worlds, across solar systems, and across time." And at it to your shelf on Goodreads! 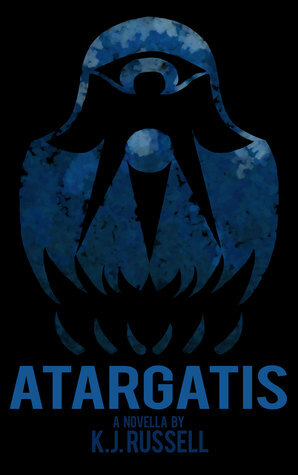 The underwater city of Atargatis is the only bastion of the last humans, a genderless population of nearly identical clones. They share their ocean world with a sea-faring species, the Scorps, who have prophesied human extinction. 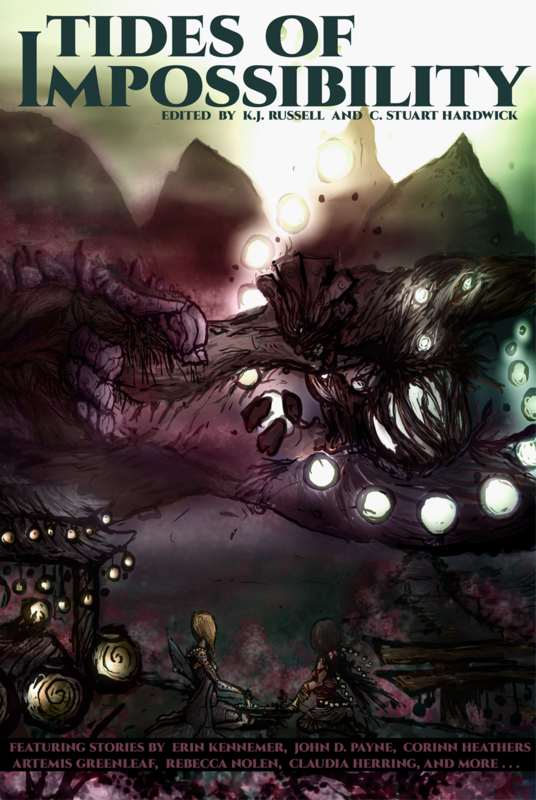 As the day of that prophecy nears, Atargatis fearfully blocks the Scorp pilgrimage to their goddess in the deep ocean. The Scorps' only advocate among the humans, Senator Edessa, is convinced that the Scorps' true intention is to save humanity from the prophecy. But when Edessa's last ally is assassinated in a coup by his nemesis, all political pretense falls away and Edessa is no longer safe in Atargatis. "K.J. Russell excels in creating the kind of fantastic worlds you just love to lose yourself in. Wonderful stuff." "The story is so enthralling, and the characters are so magnetic, that you can't put it down until you're done." "K.J. Russell's work is often dark, sometimes brooding, always lush with mayhem and magic." "Mr. Russell has a way of world building with lyrical descriptions. Be prepared to be lost!" And add it to your shelf on Goodreads! As the Eastern hemisphere slept, the mind of God awoke from a deep slumber. Invading the minds of all humanity, His awareness overwhelmed the waking West and rendered it void of life in an instant. Then as they slept, those in the East felt God die. His death emptied Hell onto Earth, unleashing demonic armies that drove mankind to the brink of extinction. Beijing rose as a final bastion, its military bolstered by ingenious technologies but driven to desperation by faltering supplies and the constant threat of invasion. And the one weapon that could save them has just been stolen. In the wastelands of Korea, a stranger covered in dust visits a lonely town of Buddhists and Christians living in an odd state of peace. He catches the eye of Seo Ha-Neul. The stranger brings lies, warnings, and violence. Rather than stop him, Seo tries to understand his motivations, even as supernatural forces threaten devastation. 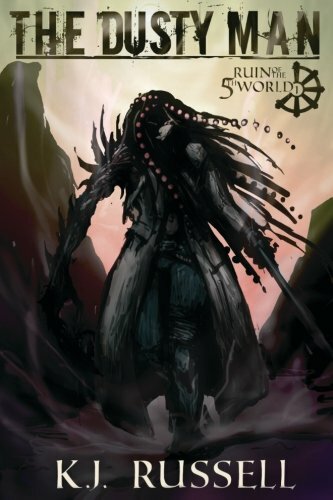 The Dusty Man introduces readers to the "Ruin of the Fifth World", a grim alternate future in which the survivors of mankind are the strong, the ruthless and the ingenious. God is dead and the world is crumbling. Demonic commanders organize hideous armies against mankind and one another. The heroes that rise among humanity are just as terrifying as the monsters. And where are the Angels to bring goodness back to the world? Looking for a light in this shadowed world seems hopeless, but there are those who dare to challenge the tide of armageddon, and there is no God to help those who get in their way. "An intriguing and unvarnished tale of human tenacity, The Dusty Man is definitely worth the read." ... or ask your local Barnes & Noble to order it in print. Tides of Possibility is a proudly independent anthology presenting some of the most distinct rising voices in the genre. A new generation of science fiction is beginning, and the Houston Writers Guild has brought their words to print. In The Black Prince by Erin Kennemer, the sky is missing its stars. One father-daughter team builds a ship to go looking for them, but the secrets they are looking for aren't what they find. Is there a glow of starlight beyond the black, or something else entirely? The Reader by D.L. Young is an award-winning short story about a man called "Brujo" whose ability to see through any deception is the key to wealth for his patron. Faced with a secret from his past, suddenly seeing lies isn't enough. He needs to see the truth. The Color of Silence by Mandy Broughton is the story of AIMii, the friend-nanny-android of a terminally ill little girl. Her mission is to answer the child's question, "What is the color of silence?" With no clues to go on and only hours to search, AIMii might learn more than she thinks. The first of two anthologies from the Houston Writer's Guild. Tides of Possibility launches a multi-book project for the HWG, followed quickly by the Tides of Impossibility fantasy anthology, both produced using funds faithfully pledged by local readers. Check out both anthologies and find out what kind of worlds the writers of Space City can imagine! Tides of Impossibility is a proudly independent fantasy anthology! The Houston Writers Guild presents sixteen short stories: fables, sword and sorcery, and urban fantasy. These bold visions of the impossible will take you to worlds both very distant and closer than you'll believe. Talisman by Patricia C. Hughes tells of a man following a supernatural calling to a small town near an ancient castle. There he confronts the dark history of the place, overcoming dangerous magic and a plot that's been in the works for hundreds of years. The Bargain by Claudia Herring is about an Angel named Andras sent with a message for a devout yet unpleasant Marquis. But Andras is preparing himself to handle the mission's deeper and more disturbing implications that draw into question the holiness of everything involved. In Púca Dawns by Patricia Flaherty Pagan, a little girl named Maeve befriends a mischevious, shape-changing creature. As it enjoys simple offerings like apples and chocolate, the Púca observes Maeve and begins to suspect deeply troubling secrets in the little girl's life. The second of a pair of anthologies from the Houston Writer's Guild. Tides of Impossibility is the fantasy companion of a science fiction anthology, Tides of Possibility, both produced using funds faithfully pledged by local readers. This time, K.J. Russell has teamed up with "Writers of the Future" winner C. Stuart Hardwick to bring the best of Houston's visionary talent to you. Check out both anthologies and find out what kind of worlds the writers of Space City can imagine! Dust ... published in Our Space by Writespace, 2015.